This is the second time I’ve read Harry Potter and the Deathly Hallows, but the first time reading it critically. I’ve tailored this review in the following in mind: the intended audience for the book and its place in the series. Deathly Hallows is a tad over a 100 pages longer than its immediate predecessor in the series as Rowlings completes her series with the climactic Battle of Hogwarts as Harry and Voldemort face off in their prophesied encounter. Along with Ron and Hermione, Harry chases after the remaining Horcruxes that Voldemort has left behind but eventually the trail returns the grounds of Hogwarts. However along the way, the friends not only have rough times with one another but also with the legacy of Albus Dumbledore. Yet a legendary set of magical objects, the titular Deathly Hallows, enter into the narrative that both hinder the quest of the Horcruxes while also driving the narrative forward to its ultimate conclusion. Deathly Hallows finds the series entering the endgame as the Wizarding World falling under the control of Voldemort as the Ministry falls to his puppet. Battles occur throughout the book, the first being when Harry leaves Privet Drive for the last time which results in the death of Mad-Eye Moody and the maiming of George Weasley. After the fall of the Ministry, Harry, Ron and Hermione go on the run until they infiltrate the Ministry to get a Horcrux from former opponent, Dolores Umbridge. Through the fall and into the winter, their quest is stalled until a turn of events at Malfoy Mansion makes them realize where another Horcrux is. After successfully infiltrating, grabbing another Horcrux, and escaping Gringotts the trio head to Hogwarts after Harry learns from his connection to Voldemort that Hogwarts houses a Horcrux. This return to Hogwarts sets in motion the destruction of the final Horcruxes and the Battle of Hogwart that ends with the duel of Harry and Voldemort. The major subplot of the book are the Deathly Hallows, two of which have been in plain sight for the entire series, but the most noteworthy is the Elder Wand that Voldemort covets to overpower Harry’s wand because what occurred at the end of Goblet of Fire. Harry’s obsession with the Hallows do affect the overall quality of the narrative because of their supposed importance is undermined by how late in the series we learn about them and do through shade over a very good book. Harry Potter and the Deathly Hallows shows the Wizarding World entering a time of darkness as Voldemort has seemingly taken over but with Harry there is hope people cling to. Save for the late inclusion of the titular Deathly Hallows, the idea of which I believe should have been mentioned earlier in the series, Rowlings completes the overall story she began way back in Sorcerer’s Stone by showing how everything that happened before has led to the climactic moment at the end of the book. In the end, this final installment of the series gives the reader who has spent time reading the previous six books a very satisfied conclusion to the story of Harry Potter. The film adaptation of Harry Potter and the Half-Blood Prince, the sixth in the franchise, follows the lead of the titular installment in the Potter book series by focusing not on Harry’s academic life but on his nonacademic pursuits yet fail to convey the importance of items and set the stage for franchise’s final installments as well as add and remove too much. Though those in charge of production and direction claim “Half-Blood Prince” was boiled down to the essential plot and foreshadowing elements needed for future films likes its three predecessors it is untrue. Throughout the film, as well as in the books, there are two main subplots the revelations of the Voldemort’s Horcruxes and Draco Malfoy’s mission and while the latter was handled perfectly the former was botched with missing scenes that impact future installments. The addition of Jim Broadbent to the cast as Professor Horace Slughorn was a brilliant selection and the Slughorn secondary plot was handled properly in context to the overall Horcrux discovery. The climactic scene in the Astronomy Tower between Dumbledore, Draco, and Snape with Harry watching was brilliantly acted and portrayed making it one of the few highlights of the overall film. Aside from the edition of Broadbent there were no other major cast additions, the younger cast members performed admirably with the material they were given which is not a slight on them but of the script. Of the older returning cast members of the cast both Michael Gambon’s Dumbledore and Alan Rickman’s Severus Snape were excellent given either their primary or major impactful roles in this particular film. 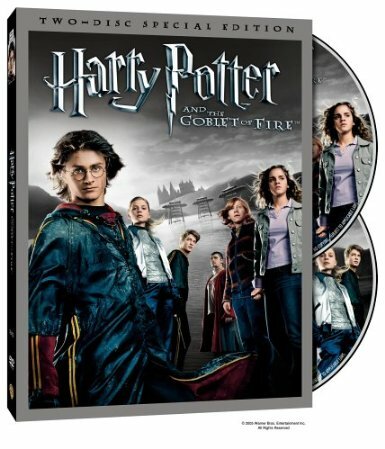 The sixth installment of the Harry Potter franchise is an uneven film, and in my opinion worse than “Goblet of Fire”. My assessment of this film for a non-book reader is that they would find the film incomprehensible as to everything going on, while book readers would question why important scenes were ignored in the Horcrux subplot that would be relevant in the “Deathly Hallows” along with the inclusion of new scenes that did nothing but try to be different from the book. In all honestly, I would rate this film 2 ½ stars instead of 3 if I had the option. This is the second time I’ve read Harry Potter and the Half-Blood Prince, but the first since finishing Deathly Hallows and first time reading it critically. I’ve tailored this review in the following in mind: the intended audience for the book (much younger than myself) and its place in the series. Half-Blood Prince is over 200 pages shorter than its immediate predecessor in the series as Rowlings transitioned from focusing on the events in Hogwarts to worrying situation in the Wizarding World since Voldemort’s public appearance near the end of Order of the Phoenix. Turning the focus away from what was occurring in most of Harry’s classes and more about his nonacademic life, especially in relation to his love life. Once again the past history of the wizarding world is a central theme of the book, but this time centered on Tom Marvolo Riddle aka Voldemort, to understand how Harry can defeat the Dark Lord. With considerable skill Rowlings crafted all these new elements in the series, but seemed to shortcut her development of major established characters that took something away from the narrative a tad. Half-Blood Prince finds the series’ overall story having entered into the Wizarding World in a time of war, fully transitioned into a darker mood that only gets darker with what is learned and what occurs. Before even getting to Harry, we follow the Muggle Prime Minister and learn of Snape’s residence while learning about an order that Draco Malfoy is to carry out at Hogwarts. Throughout the book, Harry and Dumbledore interact more than they ever have before as they navigate the past through other’s memories to find out how Voldemort survived his first encounter with Harry, through use of Horcruxes. The major subplot of the book is Harry’s investigation of Draco throughout the year even though his friends and even Dumbledore tell him not to worry about it, however the events at the end of the book seem to prove Harry correct. The academic develops in Half-Blood Prince, save for Potions, take a backseat to everything else going on which given how Deathly Hallows is written is foreshadowing what is truly important for the story as a whole. The relationships of Ron-Hermione and later Harry-Ginny seem both confusing and rushed, but given Mrs. Weasley’s comments about Bill & Fleur it seemed that Rowlings’ gave herself some literary cover on this point. As it turns out Half-Blood Prince is both a book in itself, but also setting up the events of the final book given the mission Harry commits himself to by refusing to return to Hogwarts. And with Dumbledore’s death, the stage is set for anything to happen in the growing darkness. Harry Potter and the Half-Blood Prince continues the dark trend the series is headed towards, though even as the Wizarding World gets embroiled in war, Rowlings shows that rays of light do pierce the night. Unlike Order of the Phoenix, Rowlings included only a few new additions that were strictly to help the narrative of the book along in certain places while also helping create important segments in the overall story. While not as long as the previous two books, Half-Blood Prince is its own narrative while building the overall story towards the series’ climax and setting up for Deathly Hallows. The film adaptation of Harry Potter and the Order of the Phoenix, the fifth in the franchise, brings darker themes to film that were prominent in the book to life both in and around Hogwarts as well as the wizarding world at large. As with the last two films, “Order of the Phoenix” was boiled down to the essential plot and foreshadowing elements needed for future films. Unlike its immediate predecessor the film “Order of the Phoenix” was almost as well done as “Prisoner of Azkaban” with only minor transitions and plot tent poles either mishandled or poorly represented. The bureaucratic terror inflicted upon Hogwarts by Dolores Umbridge, brilliantly played by Imelda Staunton, is well handled as well as the subplot of Dumbledore’s Army along with its discovery. The climactic battle within the Ministry was a mixture of more good than bad, however there were elements that hurt the over presentation that hurt the overall product, namely how much weaker Dumbledore appeared during his duel with Voldemort. Besides the brilliant work of Staunton, the rest of the main cast that has grown with the series did tremendous jobs though Emma Watson seemed to particularly stand out in every scene she was in. The older members of the cast, including those from previous films that returned in this film, did well as could be expected with the roles they were given in this particular film. Michael Gambon’s Dumbledore doesn’t look as impressive in action as the character is written in Rowling’s book, which I fault film’s writers and director instead of the actor. Gary Oldman’s Sirius Black hits all the right notes throughout the film so as to make his exit all the more impactful. The fifth installment of the Harry Potter franchise is a pretty good film, although it stumbles here and there it is clearly a step above “Goblet of Fire”. 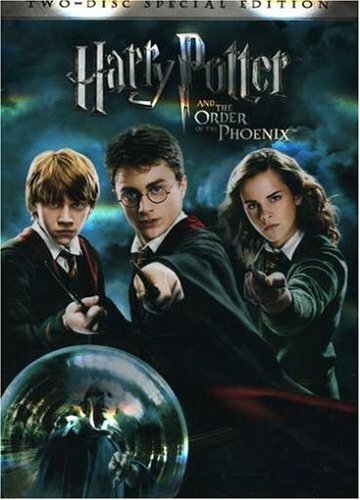 The darker themes present in “Order of the Phoenix” herald the trouble ahead mirroring the book in a very good adaptation of the book making this film deserving of its 4-star rating.